We Love Soaps: Award Winning 'Acting Dead' Hits Amazon Today! Award Winning 'Acting Dead' Hits Amazon Today! 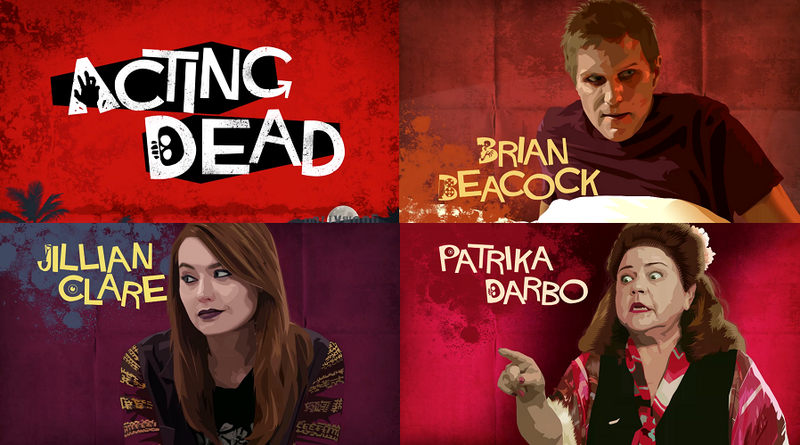 Since first hitting the web, zombie comedy Acting Dead has won multiple Indie Series Awards, and nabbed a Primetime Emmy last fall for Patrika Darbo's hilarious performance. Starting today, the brilliantly funny Brian Beacock-penned series is available on Amazon Video, and free to view for all Amazon Prime customers. Acting Dead tells the story of Tate Blodgett (Brian Beacock), a down on his luck, unemployed actor, who after being turned down for role after role, decides to take his career into his own hands, and becomes a Zombie, simply so he can finally get work in the many Zombie movies and television shows. Along the way, he meets Alex Carboneux (Jillian Clare), a former child star, who's temper has stalled her career, until she also decides to take matters in her own hands, which doesn't turn out so well either. “We're so excited that audiences can now bite and binge the entire first season of Acting Dead," said Beacock. "It didn't take a lot of brains to realize that Amazon was a great home for our Emmy winning zombie comedy!” Producer Susan Bernhardt added “I'm positive the Amazon audience will get hooked on Acting Dead – we've always known we had something really special and are thrilled to bring our Emmy winning digital series to the Amazon lineup." In addition to Beacock, Clare and Darbo, the zom-com boasts an impressive group of talent including Chris Galya, Paul Nygro and John Yelvington with Season One guest stars Debbie Gibson, Eric Martsolf, Carolyn Hennesy, Sean Kanan, John J. York, Cocoa Brown, Christine Lakin, Lori Alan, Erin Matthews, Gary and Larry Lane, Peter Allen Vogt, Sheila Sheila, Mitch Silpa and Jacee Jule.